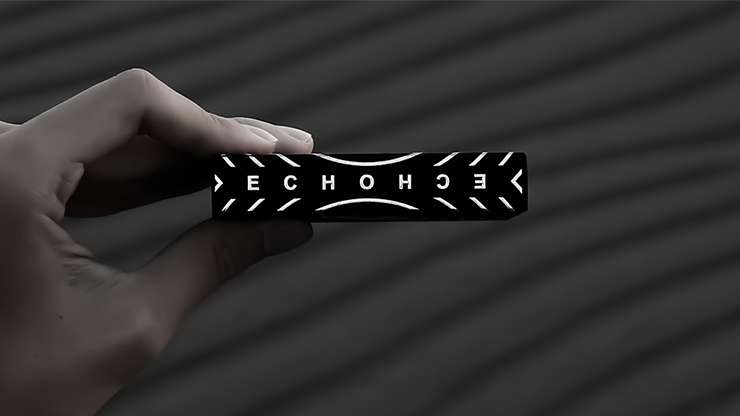 Echo Playing Cards is an exploration into what is possible with a deck of cards. 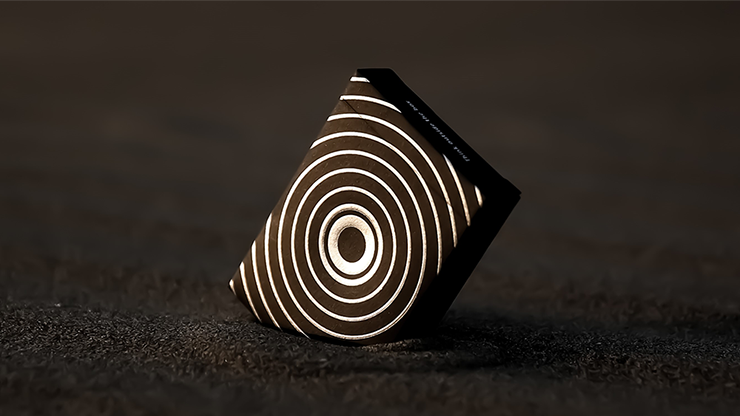 Our back design features a simple, yet elegant, pattern resembling carbon fiber, and a circle in the center to emphasize movements of each packet. 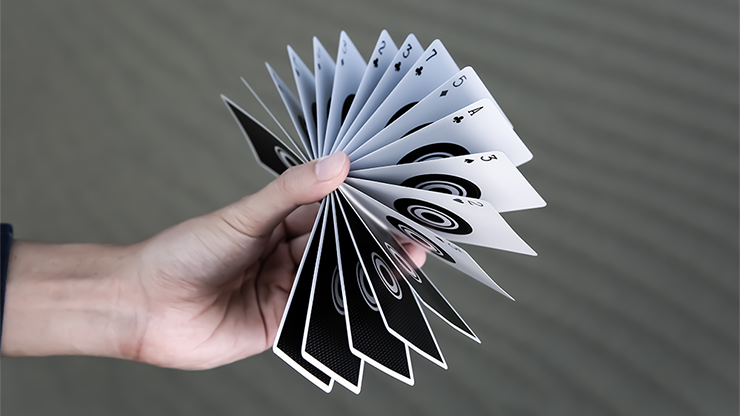 But where this deck really shines is the faces. We made the bold choice of removing all suits from the faces and replaced them with the same circle from the back. 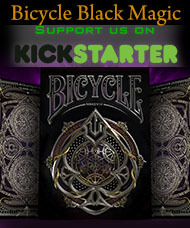 This creates visual effects that no other deck is capable of. 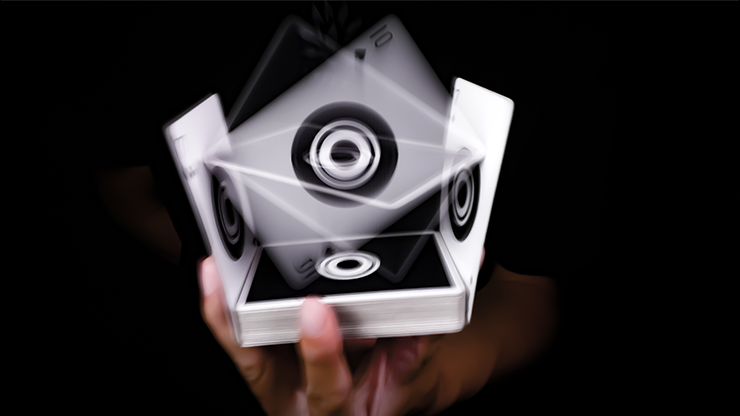 When a packet is flipped, the circle in the center continues spinning in 3D space. 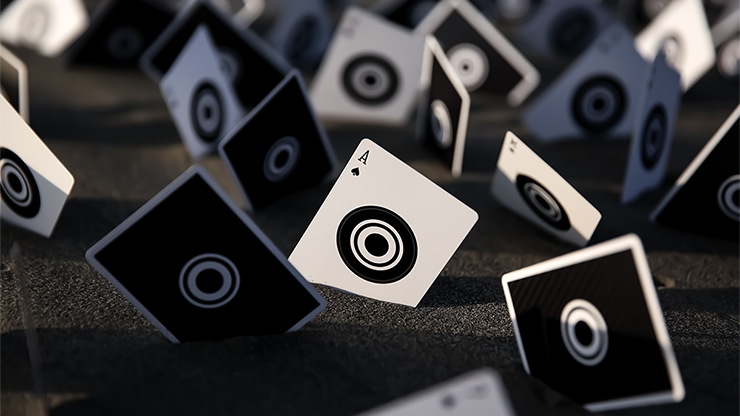 Additionally, with circles on every face of every packet, eye-catching circles reverberate throughout and enhance each flourish. 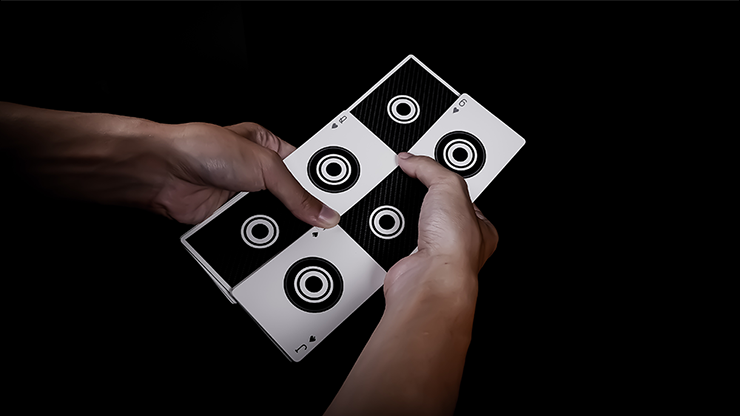 Cardists and audiences will love the effects produced by the amazing Echo Playing Cards!